Scroll down slightly on the linked page to find the recipe. And, this really is a recipe rather than a pattern---you get to decide on your yarn, needles, and gauge. 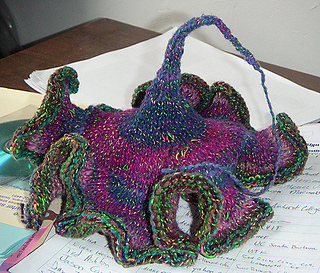 The number of stitches you cast on determines the circumference of the finished object.